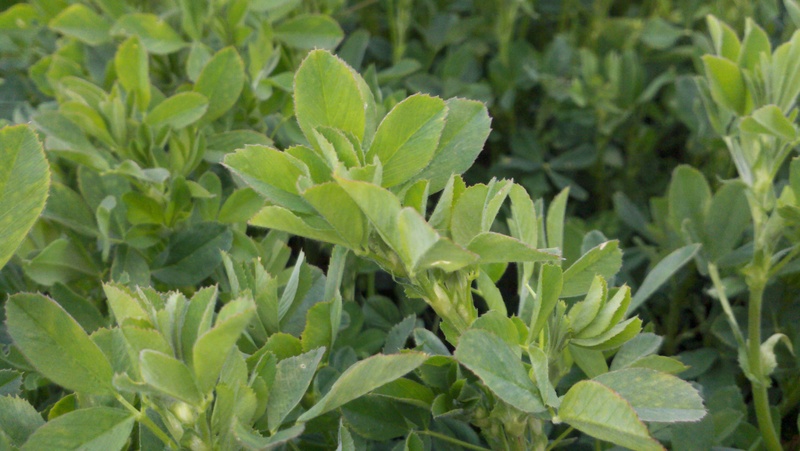 During my check on the alfalfa today, to my dismay, I spotted several plants that show signs of the dreaded alfalfa weevil. The first picture is of healthy alfalfa. 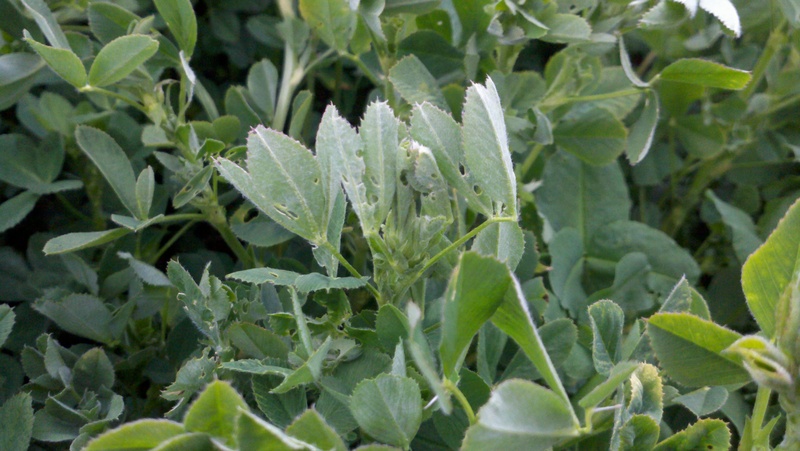 This second picture, shows what an alfalfa plant looks like that is being consumed by the alfalfa weevil. Right now, there is approximately 2 ton of alfalfa per acre. With the current weather conditions, days not reaching 70 degrees and nights in the 20’s and 30’s, growing has stopped and the forecast for the next 8-10 days shows the same. These temperatures do not equate to growing days, so the alfalfa is essentially stalled. Additionally, this weather will not allow for me to cut the hay as it is not warm enough to cure. If we were to have 8-10 days of day time temperatures over 74 and no rain, I could cut now and be fine. 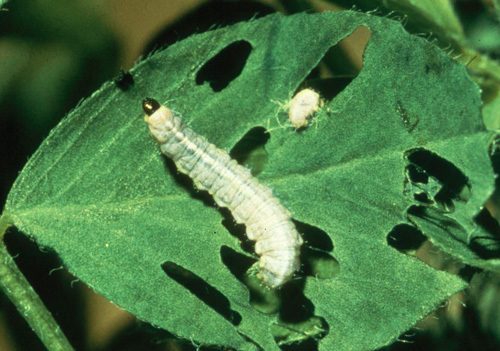 However, this is not case and the weevils will continue to eat the plants, causing them to stop growing and reduce the tonnage per acre by as much as a half ton over the next two weeks, which is the soonest I might be able to cut. On 130 acres, that half ton per acre equals 65 ton, which at current prices would mean a loss of over $12,000, not to mention a reduction in quality that would likely result in a loss of more than $15,000. With that potential loss, I will be spraying tomorrow or Wednesday, providing the wind is not blowing, to save what I have and hopefully allow for an additional increase of a quarter to a half ton more growth. This will be the first time in three years that I have had to spray for weevils. Got caught in a cycle. Good job at sharing your crop management (and most importantly the reason behind it) in such a simple way!